For the next three weeks, I'll be posting the tournament of champions each and every workday. Here is today's match up. Cast you vote now. And remember, you can vote for any first round match up until I post all of the match ups. See you tomorrow. 15 seed. I watched a group of grown men discuss and plan their derby cars all through Stake Conference Leadership meetings the year our ward reintroduced the Derby after a long hiatus. 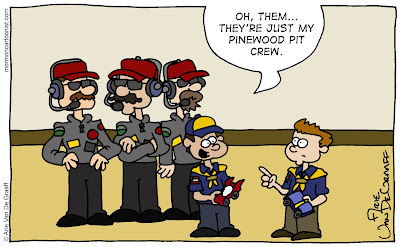 Pine wood derby pit crew...those mustaches! This is hard. I’m going to have to vote for the snowmen. Of course the mom sacrifices for the jello. I just relate to it so much more. Even though one of my boys was involved in a pinewood derby where two boys had dad’s who were brothers. Those boys didn’t get to touch their cars, the dad brothers were in competition with each other. Snowman, just a shame the Snowman dad doesn't have an epic mustache too. 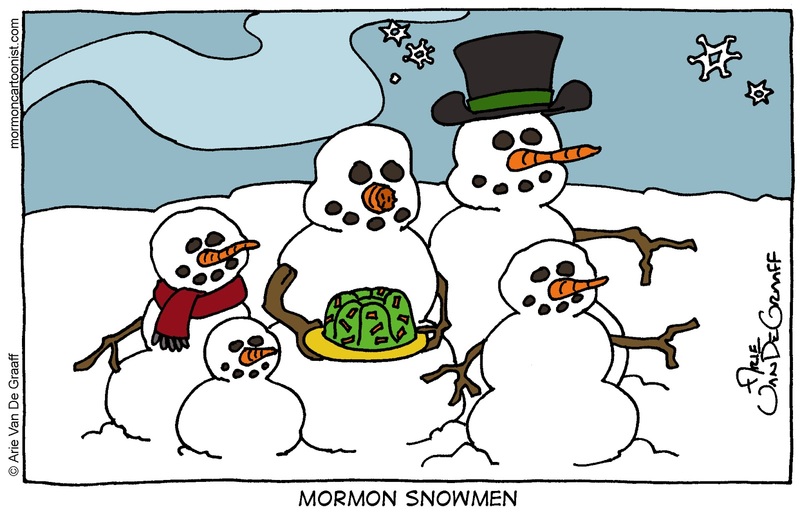 Voting for one of my all time favorites: "Mormon Snowmen" or is it now "Latter Day Saint Snowmen" or maybe "Ward Snowmen". Hmm. 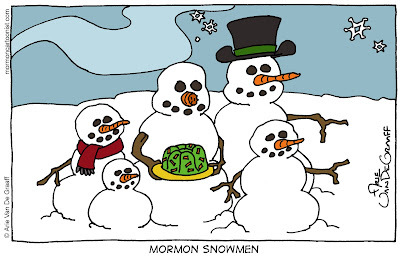 The snowman joke is my all-time favorite gag of yours hands down! 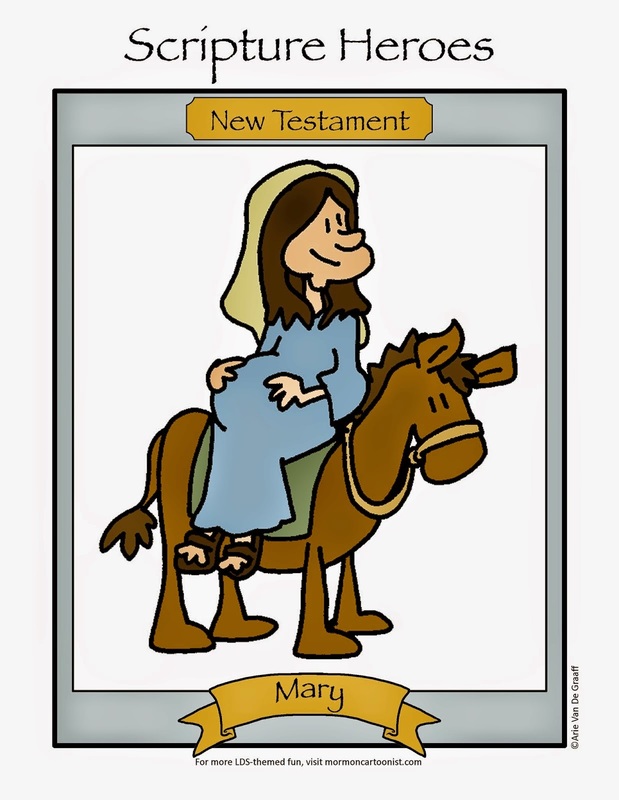 The snowman is my favorite for sentimental reasons.